Introducing Hitwell Deep Well Imaging’s newest line, the ACE™ Digital Imaging System – our latest in telemetry design with additional features for well and camera readings. “ACE” down hole cameras are available in both 2‑3/8” (60.3mm) OD HT/HP ‘Big Boy’ and 1‑11/16” (42.9mm) OD ‘SlimHole’ tools. All Hitwell borehole cameras are designed for flawless operation on single or multi-conductor standard electric wireline. Our high temperature cameras also perform well with coiled E-tubing and tractors for surveying in deviated wells. 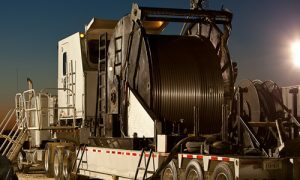 No two wireline cables are the same, so we provide you with new system features for quality viewing at the well surface, plus control and trim functions that overcome wireline problems downhole … all from the provided Panasonic TOUGHBOOK™ laptop and “ACE” Power/Imaging Control Unit. Part of our “ACE” borehole camera system. From our “ACE” Graphical User Interface, well information and controls are at your fingertips. All image data and well metric information is integrated in the P/ICU to this powerful tool. Your well survey is recorded to a USB thumb drive through a port on the front of the P/ICU in the industry standard AVI format. Still images can be quickly saved as files on the laptop and sent as email attachments while the log is running. The “ACE” borehole camera system also includes a built-in printer, allowing well images, along with all well metrics (depth, date, time, etc.) to be distributed immediately at the well site. 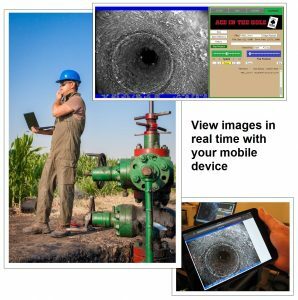 Up to 6 Wi-Fi connected devices can display real-time deep well camera video onsite. Any device with a web browser (PC, Mac, tablet, iPhone, Android, etc.) can have access to the video stream. This would allow the borehole camera system operator, company representative, winch operator, and consultant to all see the borehole logging progress without the need for all of them to huddle around a single screen. Included with the “ACE” System is our versatile Hitwell ReViewer™ application (for Windows based PCs). Our new video reviewing app is freely distributed to clients with all supplied Hitwell thumb drives. We provide all the navigation features normally reserved for studio quality ‘video review’ software. 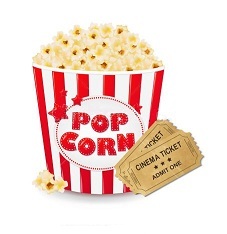 With the Hitwell ReViewer™, a user can quickly select an AVI well video file, navigate to areas of interest or use the powerful search features (by depth, deviation, saved text, and more) within the file. In a hurry? Multiple Fast/Forward and Fast/Reverse functions speed you to your destination. 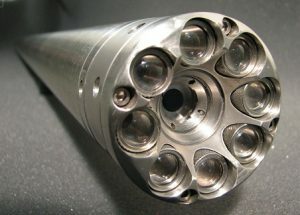 Hitwell Deep Well Imaging systems are designed for use on all standard electric wireline. 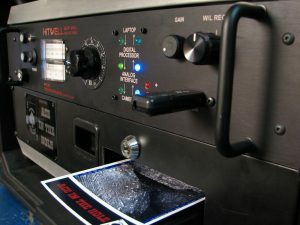 The “ACE” system connects to your encoder to display accurate depths on the recorded images. The P/ICU is easily configured for virtually any industrial encoder used with wireline or coiled tubing, and can provide selectable DC power to the encoder if needed. All Hitwell equipment are shipped in road and air-ready shock-proof enclosures for protection and trouble-free operation. 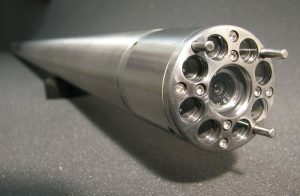 Sales – We offer the finest and most cost-effective downhole cameras in the world and can customize your system purchase for YOUR business needs. All cameras function using our “ACE” surface electronics – mix and or match cameras for all your needs! How would you like to see your company logo on our system print-outs, image files, or Hitwell Deep Well Imaging equipment? We can do that. Corporate leasing – Hitwell Deep Well Imaging systems may be leased for short or long-term deployment. We provide your personnel with training to operate and maintain the “ACE” system. Training can be performed on-site or at Hitwell’s facility. Call-out services – In a hurry? Trained Hitwell personnel and agents are available for mobilization to locations in multiple continents. 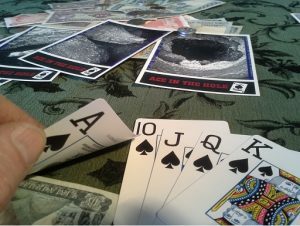 The portability of the “ACE” system allows for easy and fast deployment. 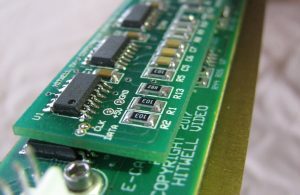 Hitwell system components are designed for future enhancements and innovations. Our feature and technology upgrades will provide you with years of cutting-edge system performance. In addition, our legacy E-CAM™ and VSAS™ product lines can be fully upgraded to include all the “ACE” digital imaging features. Call today for a quote!